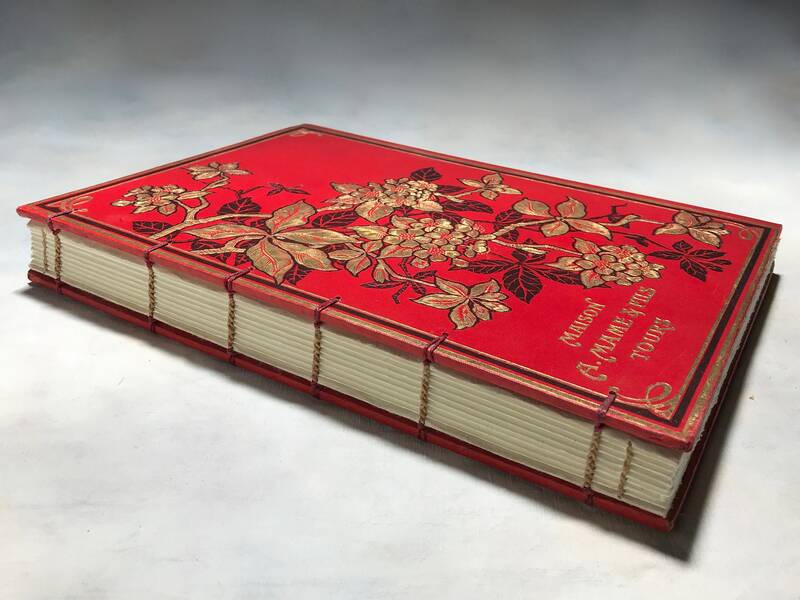 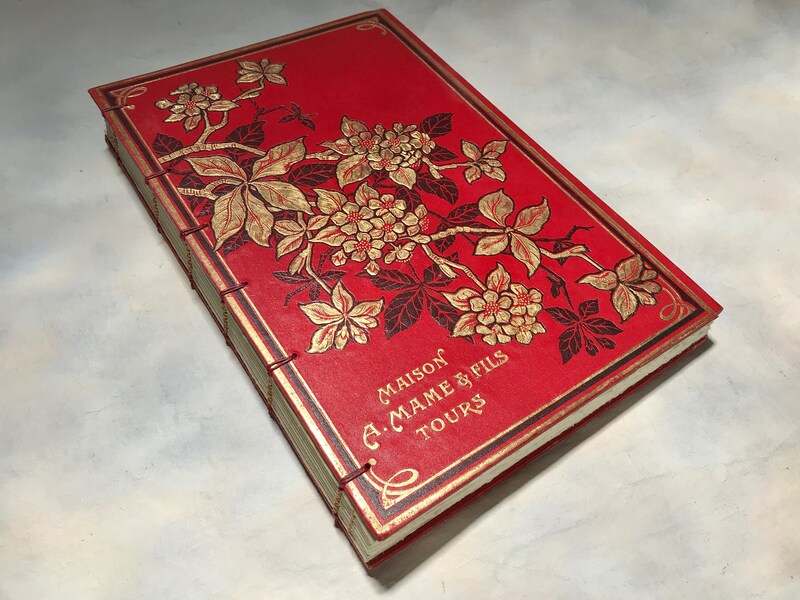 Spellbinderie offers one-of-a-kind photo guestbooks made from rebound antique French books. 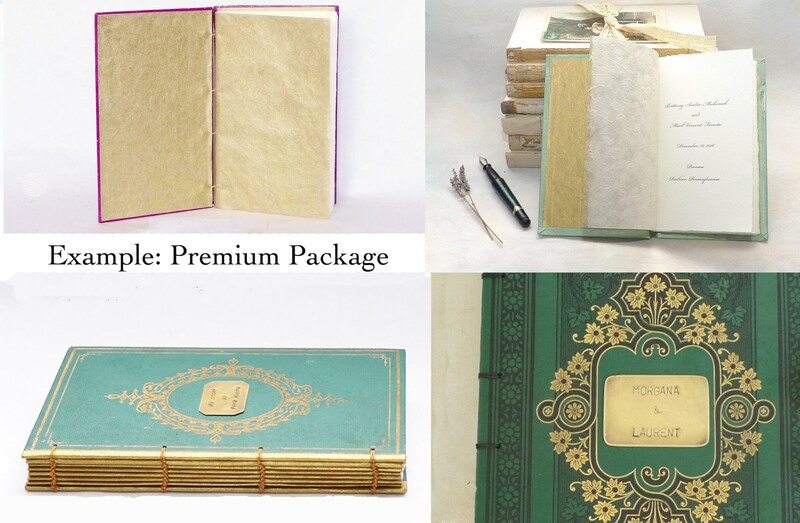 Made-to-order with a book cover you choose plus your choice of options. 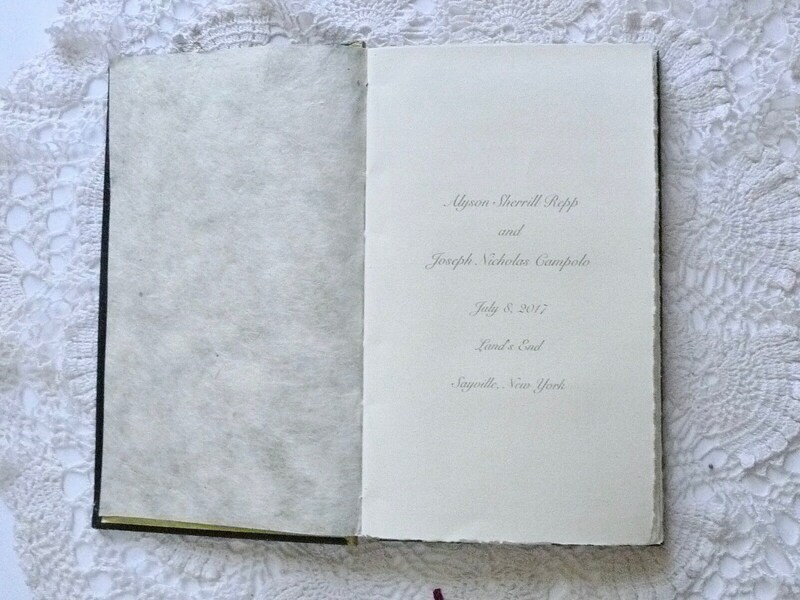 Photos in this listing show sold photo guestbooks to give you an idea of what is possible. 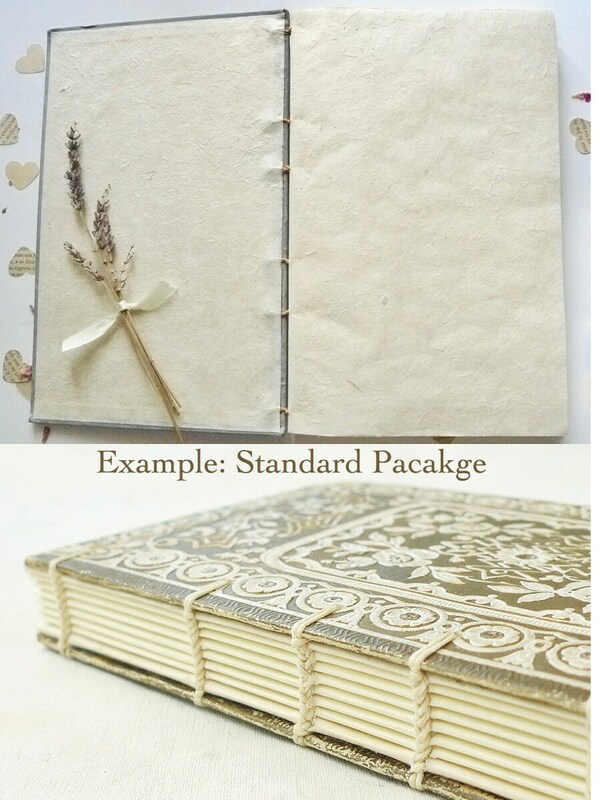 Made with an expanded spine so photos and mementos can be added to your pages later. 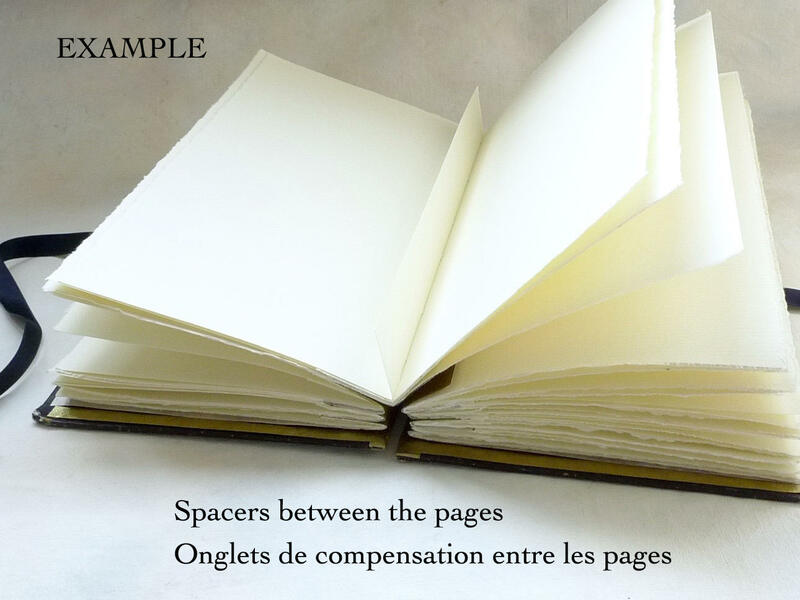 The expanded spine is created by adding spacers between the pages, see sample photo. 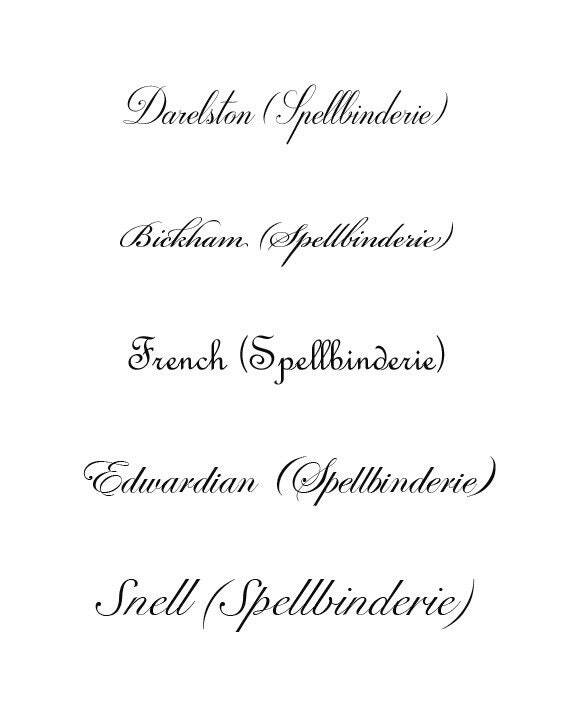 Popular packages listed below for reference, other options are available. 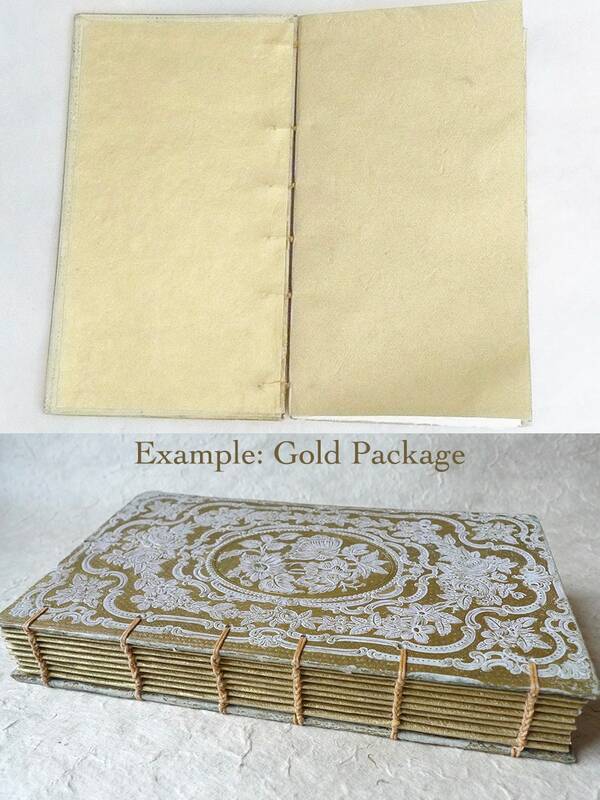 Contact me if you'd like to add a ribbon to tie the book closed.